With the worst of the winter now over and an increase in catch reports starting to pop up on social media, it appears certain that spring is here. Many anglers will now start dusting off their gear and heading out for some springtime fishing. 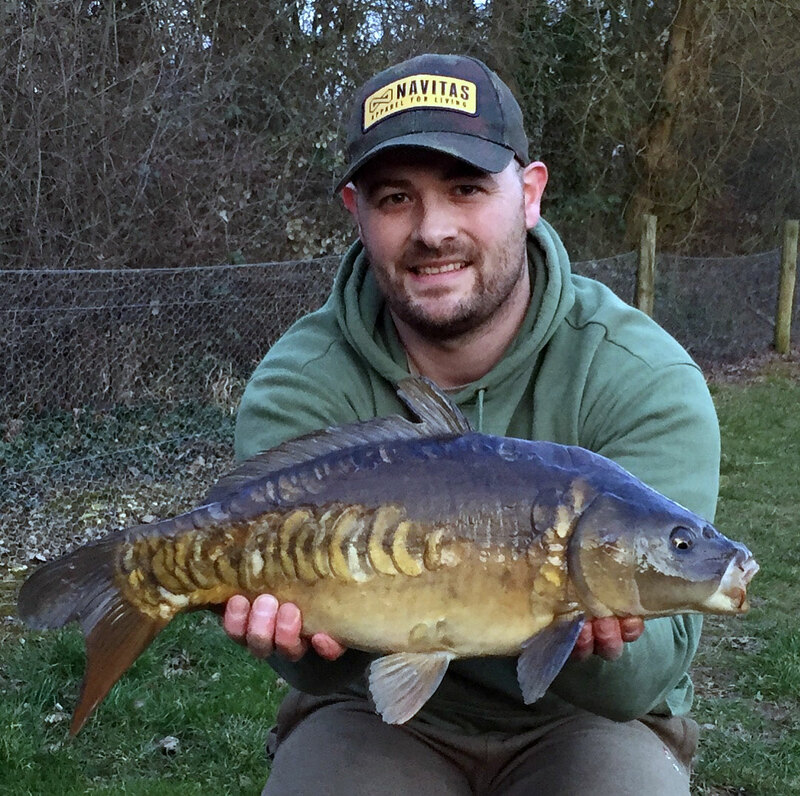 However, with water temperatures variable and the weather still somewhat unpredictable, the carp will not feed quite as vigorously as they do in the warmer months. There is no doubt that even the slightest bit of sunlight can make the carp a bit more active, however many anglers forget that it takes a consistent rise in air temperature to have a significant change in water temperatures. Pop Ups can of course be used all year round, but using brightly coloured pop ups as hook baits when fishing for carp can be a really devastating tactic particularly in the spring. A highly visible bait, often with an enhanced flavour level and presented enticingly just off the bottom is highly attractive to any carp in the vicinity, especially to those who are waking up from a period of inactivity. Brightly coloured pop ups lend themselves very well to use as just a single hook bait (as opposed to fishing over a bed of loose feed) and can often be just enough to prompt a bite when the carp are not feeding heavily. A mobile approach, finding the fish and fishing for a bite at a time rather than a bait up and wait approach often pays dividends. As you would imagine from the name, pop ups are very buoyant baits and can remain suspended just above the lake or river bottom. Most commonly, pop ups are made from either a very buoyant mix, known as an ‘airball’ mix, or frrom a thin layer of regular boilie mix moulded around a cork ball and then boiled. Alternatively there are cork dust pop ups, these have very small pieces of cork rolled into the boilie mix itself and are then boiled in the traditional way to give extra buoyancy to the hook bait. Pop Ups are usually round, to mimic loose feed boilies which are often positioned around it. Nowadays some bait companies also produce pillow shaped, barrel shaped or even dumbbell shaped pop ups to give variety to angler. You can of course make your own custom shaped baits by cutting down and whittling your own shapes from a regular round pop up. This produces something a little bit different to what other anglers are offering and can trip up the more wary fish. As with other artificial baits like imitation sweetcorn, maggots and nuts, some tackle companies now produce artificial pop up boilies made of plastic, just like regular pop ups they can be flavoured too. Brightly coloured pop ups help the carp visually locate and home in on your hook bait. The two most popular colours that carp anglers use are white and pink, although any colour can have its day. Washed out and pastel colours give the impression that the bait has been sitting in the water for a while, but don’t discount baits that match your free offerings too! It’s worth experimenting with different colours across your rods until you find the one that’s working on any given day, you can then switch your other rods onto the colour that’s catching! What are boosted hook baits? A common tactic used by anglers to provide their pop ups with some extra attraction, is to add further flavourings to them. This is done by either soaking or ‘glugging’ hook baits in a flavour solution or by coating them in a flavour spray just before casting out. There are even now liquid products that dissipate off the hook bait in a plume of colour and flavour; this plume rises up through the water column, drawing down any carp patrolling in the water layers above. Again, it is worth experimenting with different concentrations and soak times to tweak your pop ups. In many waters a subtle flavour level will be more effective than a heavily glugged bait. The buoyancy of your pop ups is another important aspect to consider, the buoyancy of your pop ups may be affected after they have absorbed the liquid. This can be compounded by the fact that once a pop up is out in lake, it will take on water around it, negatively affecting its buoyancy further. As a result, it is a good idea to test your pop ups at home to see how your they perform when immersed in water, especially if you intend to leave them out overnight or for several hours at a time. There’s nothing worse than reeling in and finding out that your pop ups have lost buoyancy overnight! Just as using a pop up with an alternative colour to the loose feed boilies surrounding can be effective, so can using a different flavour, consider doing so if the fish aren’t biting! Which rig should I use? When it comes to choosing a rig for pop up fishing there are many options to the angler. From the Chod rig, Multi rig, Ronnie rig or a simple blow back rig, pop ups ensure that the bait is raised slightly off the bottom of the lake, away from any debris. A pop up weighted perfectly will also descend down and sit on top of any detritus or silt that is present, meaning that it is less likely to disappear or become entangled in it. When casting single hook baits to showing fish, you may not always know what sort of bottom you are casting onto. Fishing with a pop up gives you more confidence that your hook bait isn’t plunging into a few inches of light bottom weed, but only if it’s set up correctly! Most pop up rigs will reset themselves after being picked up by a feeding fish, rather than tangling when the rig is blown out by the fish, like a bottom bait sometimes does. As with any rig, ensure that the hook size is matched to the hook bait. Pop Up rigs generally have very good rig mechanics and give excellent hook holds. Hopefully you now understand why these baits are so popular and so effective. Their visual impact, ability to remain above the lakebed and the option to for them to be further enhanced, mean that pop ups can be devastating when used correctly. What are you waiting for? Get out there and give them a go! After a 20 year hiatus from all forms of fishing, I came back to the sport in 2016 and found things had changed quite a lot since I had been teenager, fishing on my local River Wensum for roach, chub and dace back in the mid 1990s. I fish all year round, mainly at my club waters, though I do on occasion do venture out to fish day ticket waters. My favourite way of catching carp is off the surface, during summer this is my main method of attack, providing it is permitted on the venue.